Banking customer experience is incredibly important. Customers like to know what they will expect when they interact with a brand. However, it can be hard to maintain a consistent banking customer experience across multiple branches and online banking channels. 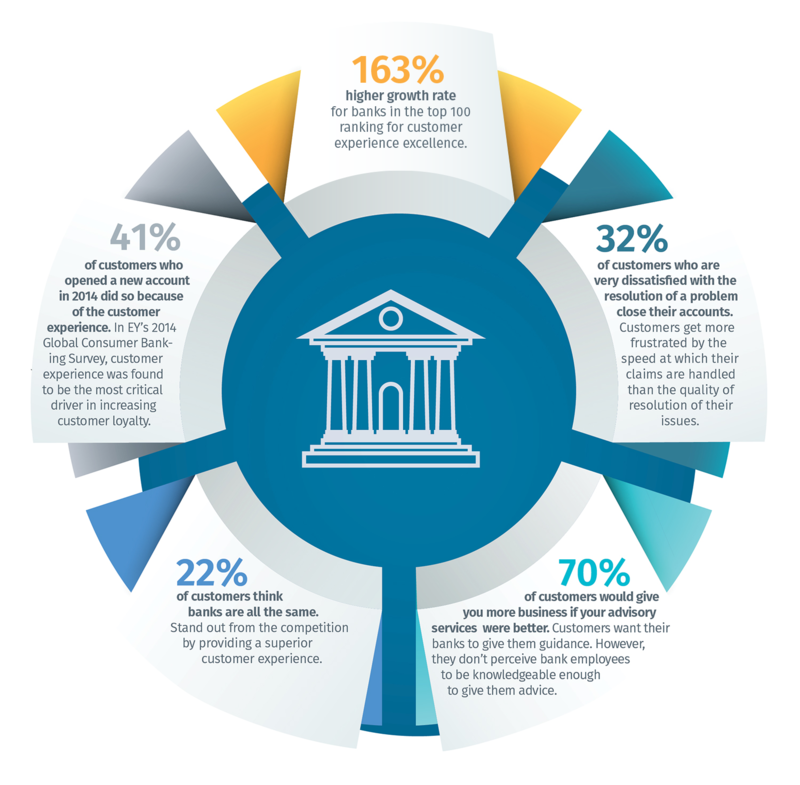 The statistics below reflect our research with thousands of retail bank customers. They show how critical it is to provide fast, accurate, and friendly customer service to bank customers. Above all, provide a unified banking customer experience across every interaction. Forrester research shows that a one-point improvement in customer experience score translates to a $59 million impact for retail banks. You can’t afford to ignore the banking customer experience. Listen to your customers, and take action. Lisa Sigler is Senior Manager, Content Marketing at Clarabridge. For over 16 years, Lisa has used her writing and editorial skills to bring the value of technology to life. Today, she works to demonstrate Clarabridge’s position as thought leader and trailblazer in the Customer Experience Management market. Lisa holds a B.A. in English from Kent State University. Read more from Lisa on Twitter @siglerLis.